Any avid automotive enthusiast will tell you a well-designed car isn’t simply a car; it’s a piece of art. Smooth lines, fresh paint and expert detailing can make a car go from amateur status to Picasso level faster than you can go zero to 60 mph. At Artomobilia, 400 collector cars and exotic motorcycles will line a half-mile stretch of Carmel&apos;s Main Street, but calling it a “car show” doesn’t do it justice. It’s a chance for thousands of people to come together and admire the iconic design of cars from the past, focusing on display and appreciation over competition. Now celebrating its 10th anniversary, Artomobilia has grown in popularity and scope but never steered away from its vision to be a premier car display festival. The Carmel Arts & Design District serves as the perfect backdrop to the event, with countless art galleries, shops and restaurants from arch to arch. 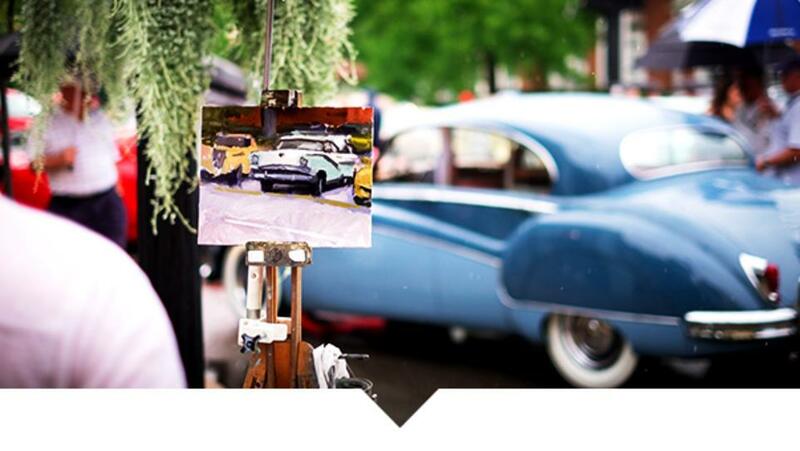 Add elements like local painters creating art for a special plein air paint out and it becomes clear why art is at the heart of Artomobilia and a can’t-miss festival in Hamilton County. Artomobilia is Saturday, Aug. 26 from noon - 5 p.m.
Food festivals are a dime a dozen in the warm summer months, but Greekfest is more than grab a gyro and go. A flourishing Greek population in central Indiana has sparked the growth of Greek Orthodox churches, and Greekfest is an annual invitation to the community to enjoy the sights, sounds and aromas of Hellenic culture. Your passport is stamped for an evening of traditional music, dance troupe performances, educational church tours and cooking demonstrations. With spanakopita in one hand and a dolmathe in the other, you’ll feel transported to a different time and place as you stroll through the marketplace full of authentic goods. Just like Hellenic culture, this festival is family-oriented and provides an opportunity to discover and celebrate a different culture. Greekfest is a total package experience that gives you a taste of tradition right here in central Indiana. No matter your niche, there’s a festival in Hamilton County, Indiana that’s sure to be a hit for you. Visit our events calendar for more information, and be sure to follow us on Facebook, Twitter and Instagram to stay up to date on exciting events in #VisitHC.